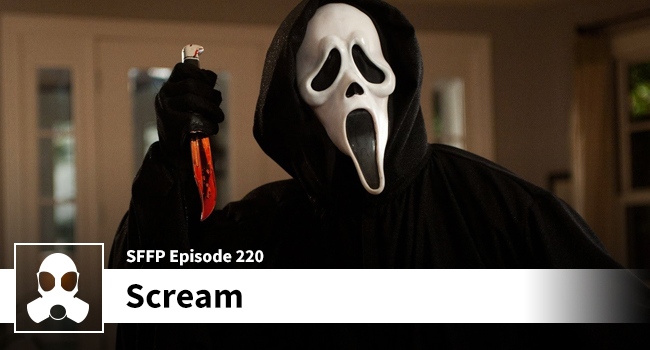 The LSG Media team: Dean, Jessica, Matthew, Josh, Jon, Damaris, and Maria all picked suitable Halloween movies to cover, placed them in a poll, and our members voted in Scream — Jessica’s pick. Jessica also demanded that this podcast be a 4-way so she could properly gloat about her victory over the rest of the team, but in her defense it wouldn’t be proper Scream coverage without all of the hosts. The gang talks about the good parts of the movie, and then… Dewey. Sorry ladies, but Matthew, Dean, and Josh just can’t get behind the Dewey love, and you know it isn’t because of homophobia. These guys routinely shower man-love on their favorite hunks, but the boys just couldn’t handle Dewey and his Inspector-Gadget like incompetence. Tune in for tales of door socks, greasy hair, and ride with us through the drive-thru at McLillard’s.